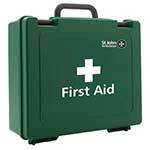 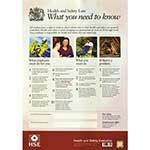 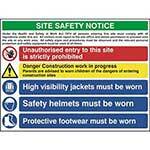 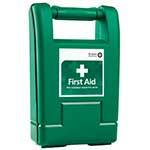 All-in-one sign safety notice designed for use on construction sites and other sites where safety is important. 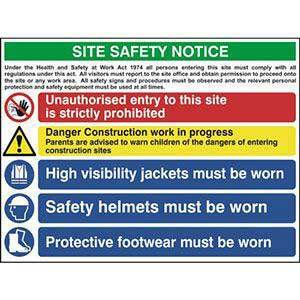 In recent years it has become more and more difficult for site managers to effectively convey all the required safety procedures, rules and requirements of modern day building sites. 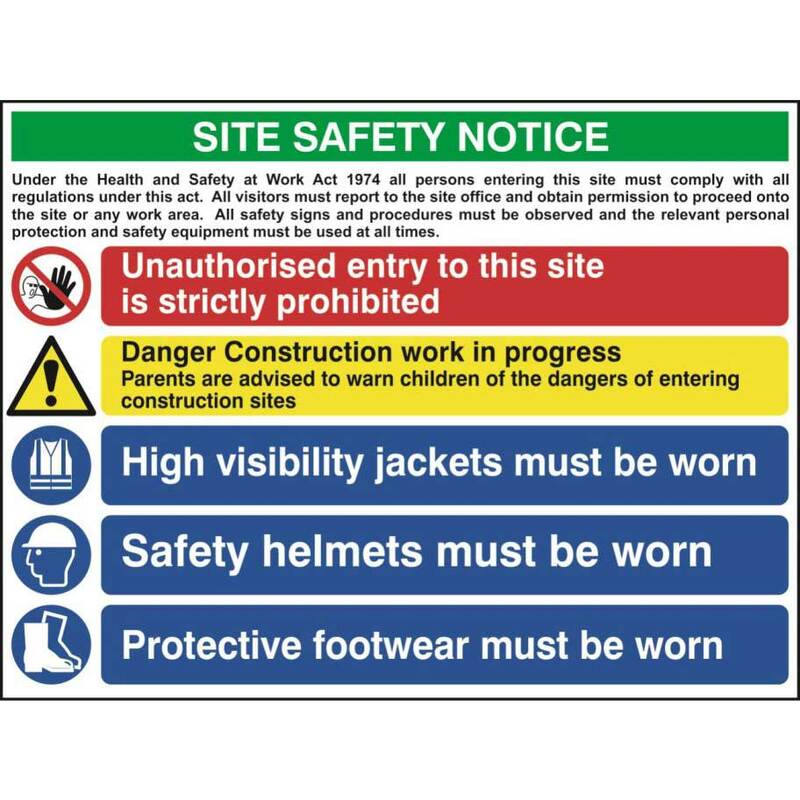 This large sign is specifically designed to allow multiple rules / safety messages to be clearly demonstrated on one sign.